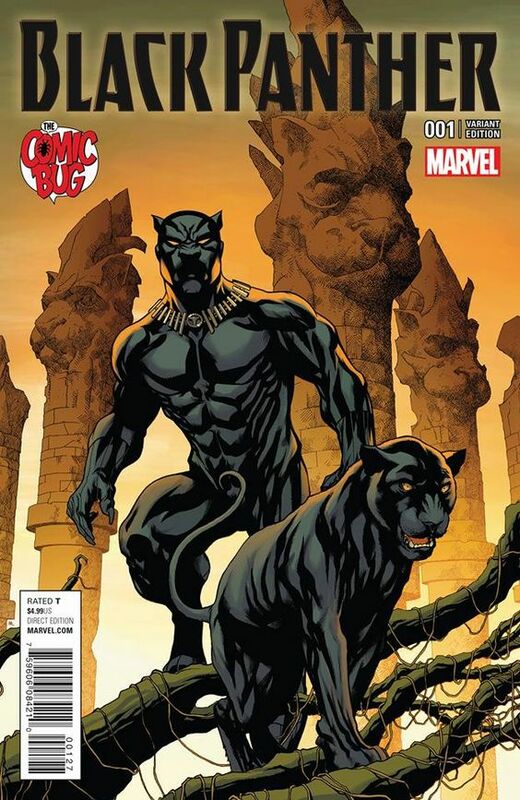 Mike McKone did a Black Panther #1 variant for Comic Bug, a comic book store in California. Like Midtown Comics that has its own variant, this one by McKone gives Comic Bug an opportunity to have a distinct book associated with the store. 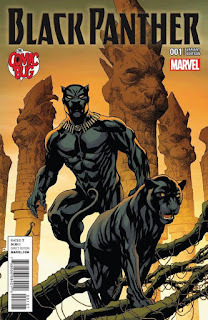 The cover image shows Black Panther/T'Challa standing with a black panther on tree branches. There are a series of tall black panther-like sculptures in the background.